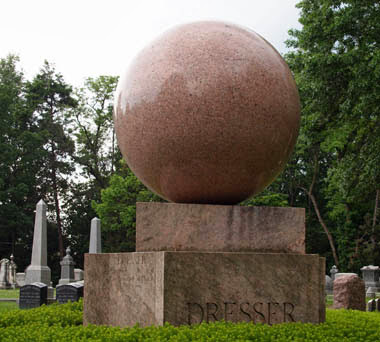 I first saw it in a magazine and then, again on television. 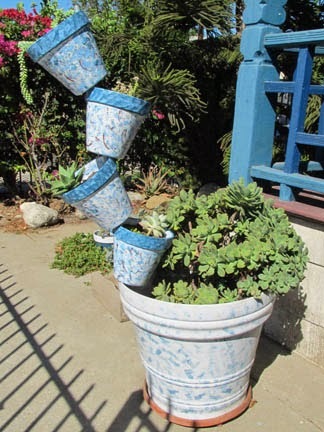 When I saw a metal pole sitting in the corner, I decided to make myself one. 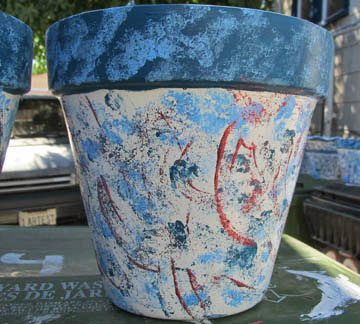 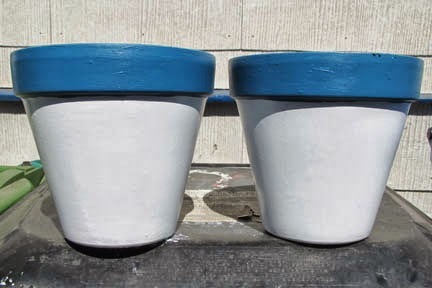 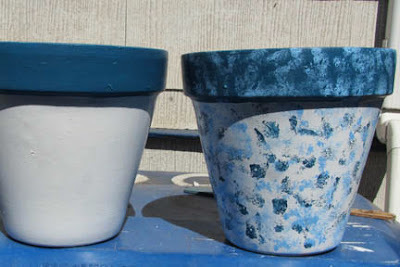 I bought four inexpensive terra cotta pots at home depot. I used leftover house paint…starting with a white base. Then using a sponge I layered a pattern, again using leftover paint. 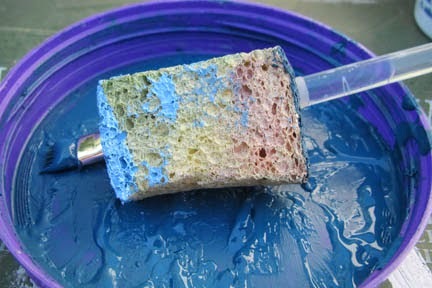 The final coat was using a brush to add some red sparkle craft paint. 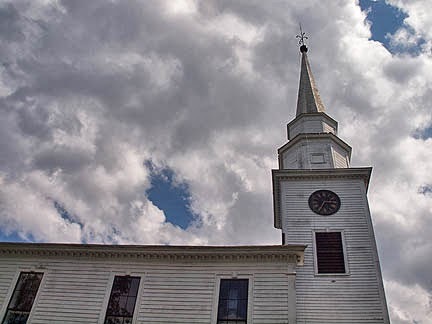 Locally known as White Church this former Congregational Church is now Rotary Records recording studio. 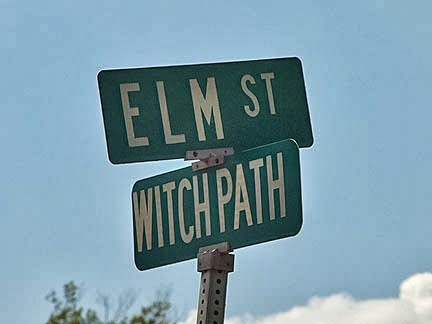 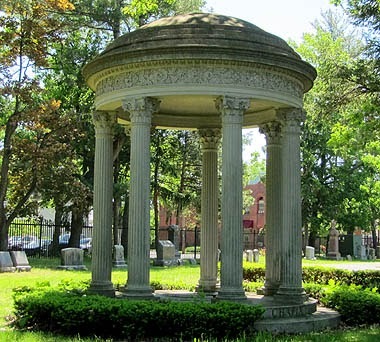 Built in 1802, it is located on the corner of Elm and Witchpath. 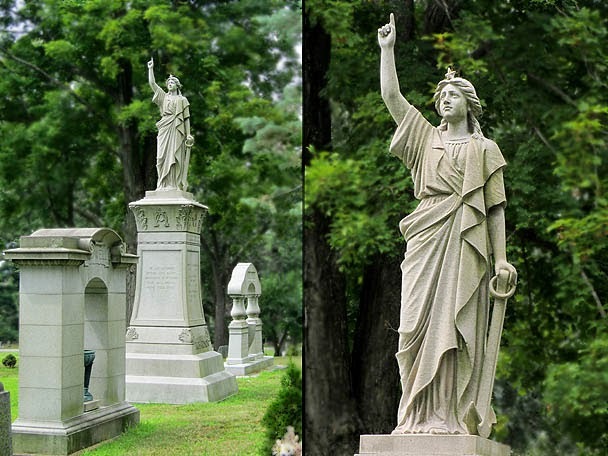 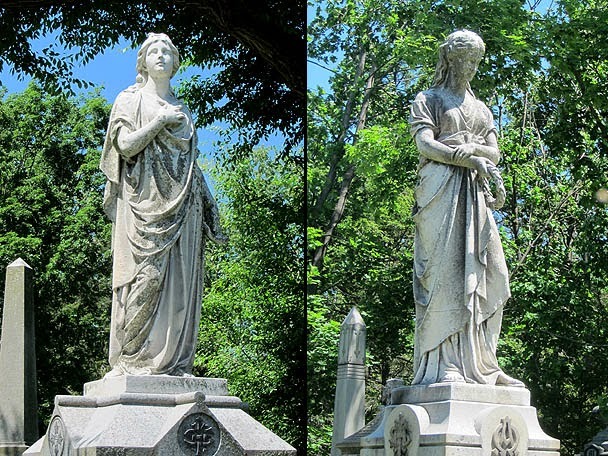 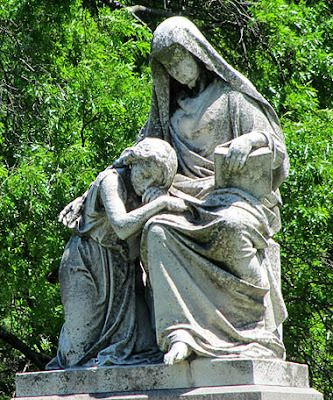 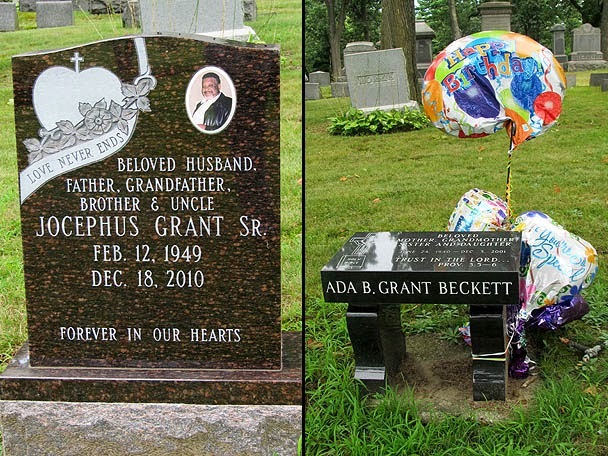 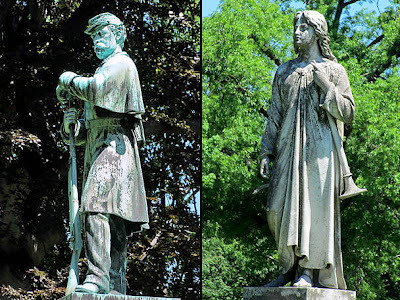 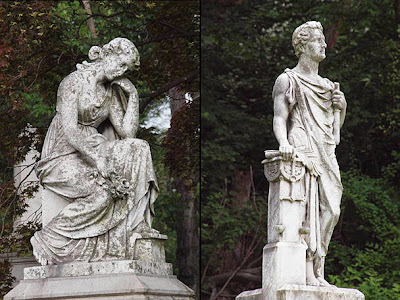 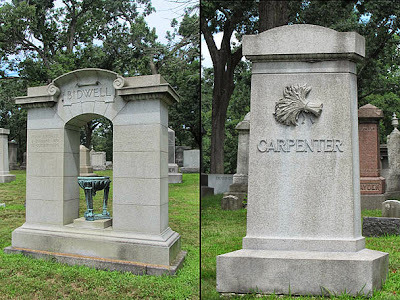 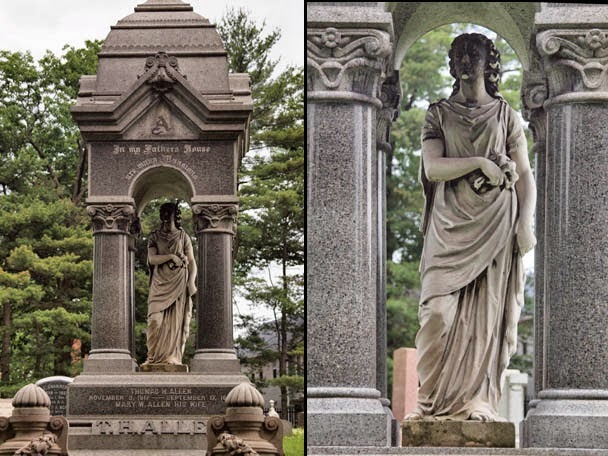 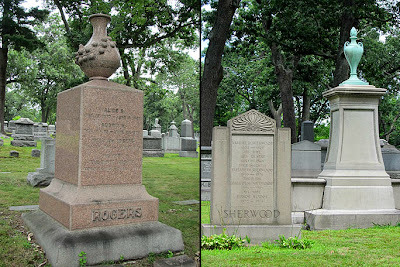 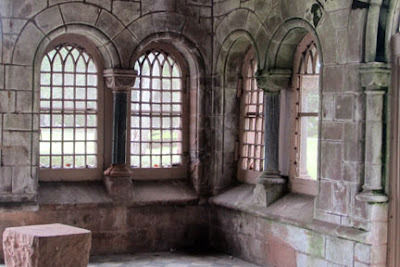 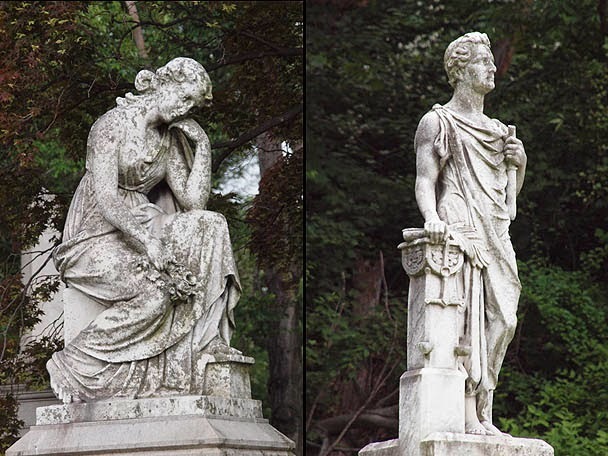 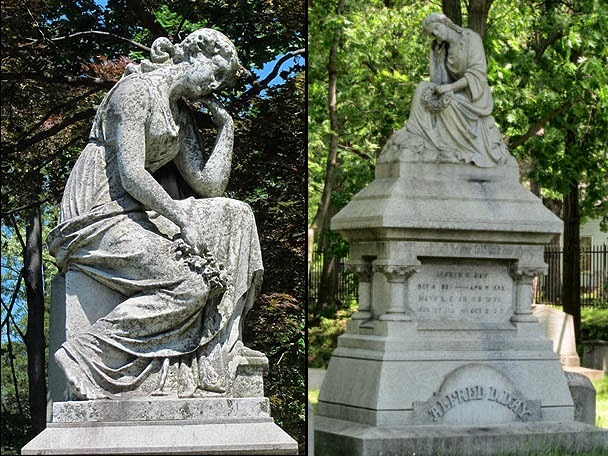 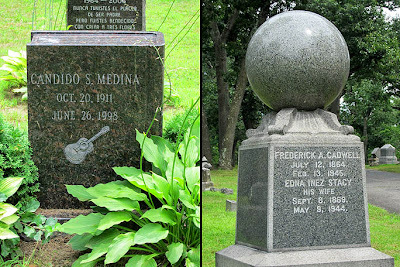 The small adjoining cemetery had only one impressive monument, yet I was able to capture several nice images. 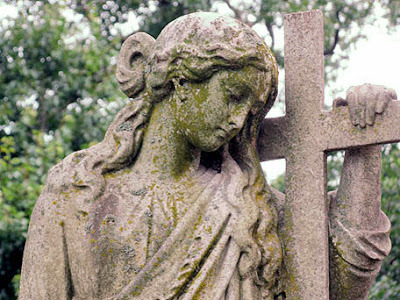 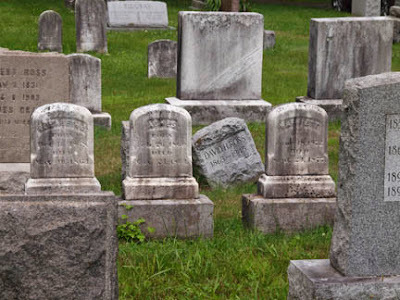 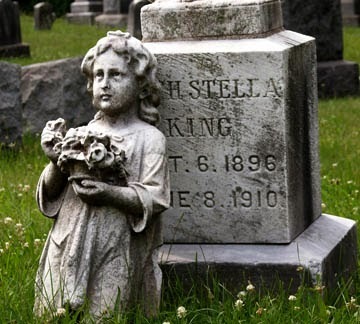 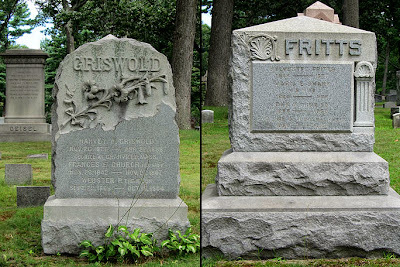 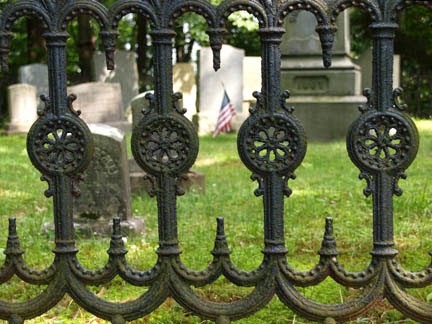 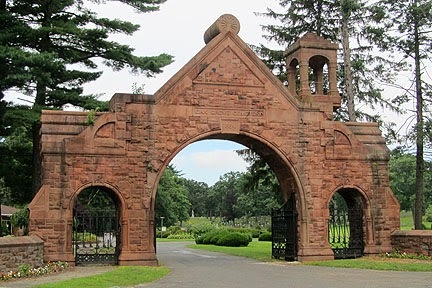 This 90 acre cemetery was started in 1881. 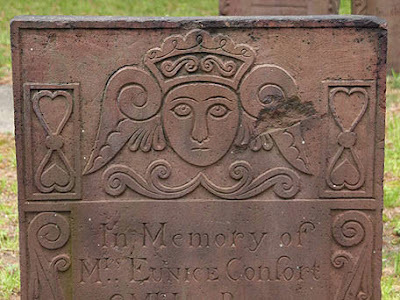 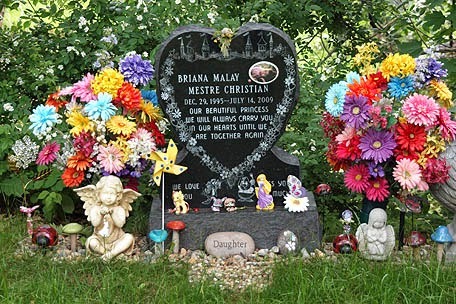 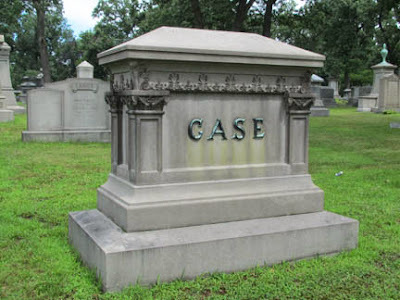 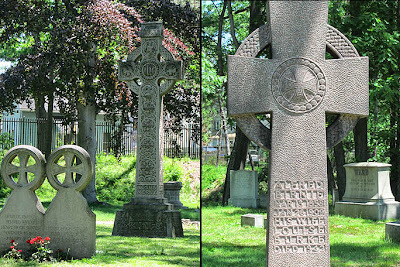 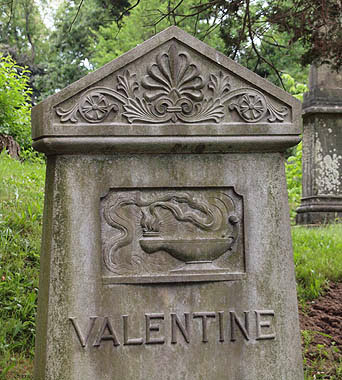 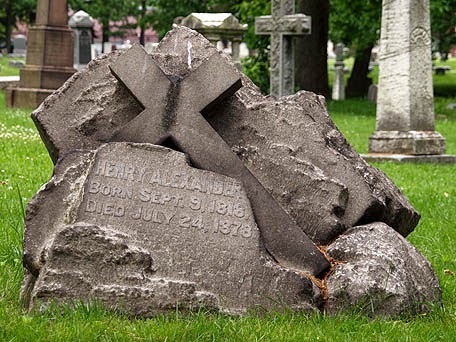 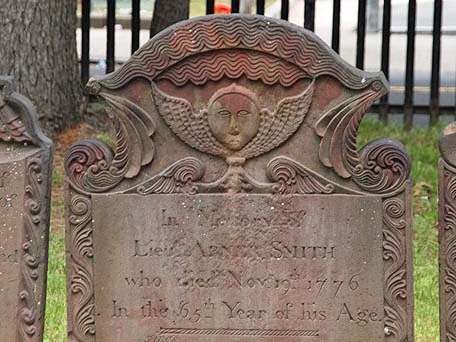 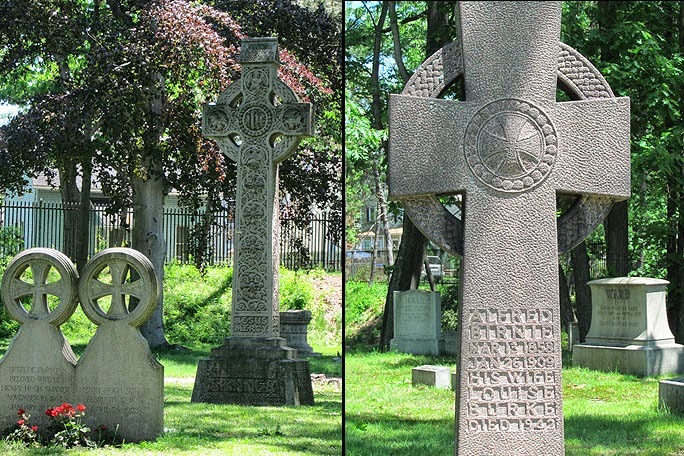 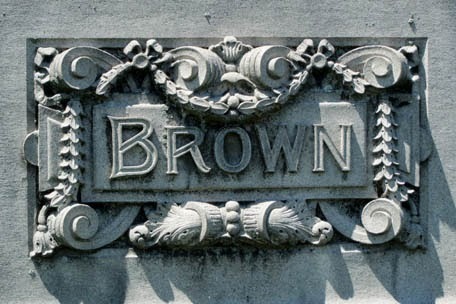 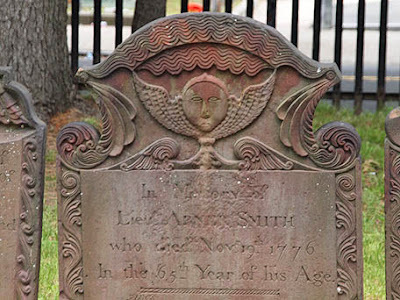 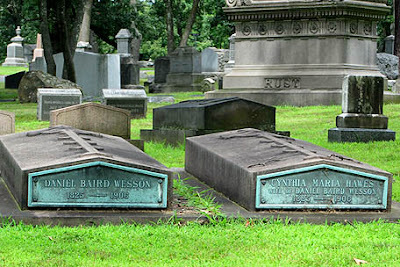 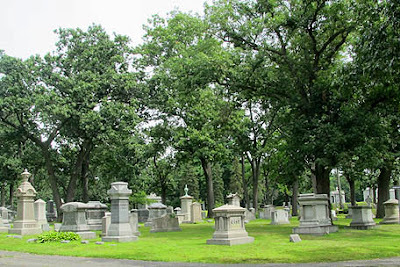 Two miles from the center of the city and one mile from the Armory, it is still an operating cemetery. 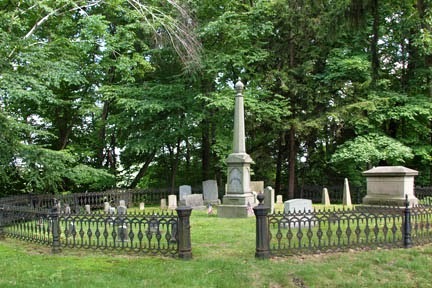 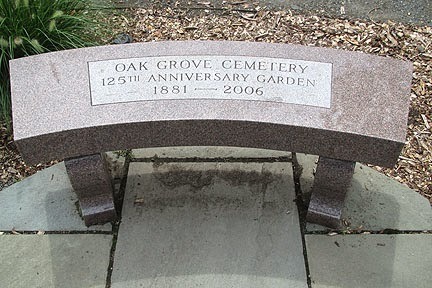 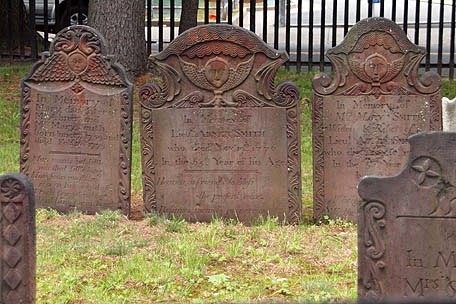 Although its sign says “Established 1841” the website says there are about 14 generations of New Englanders buried here. 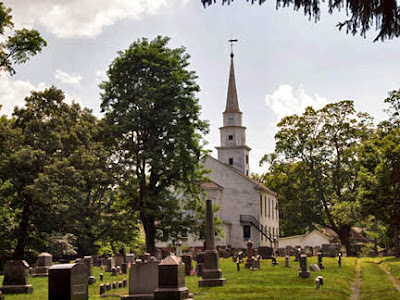 Stones and tablets dating back to 1664 were moved here from the Springfield’s Old First Church. 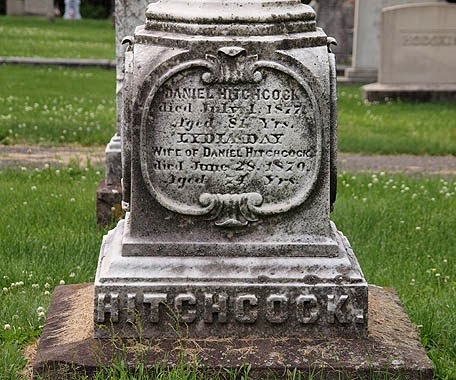 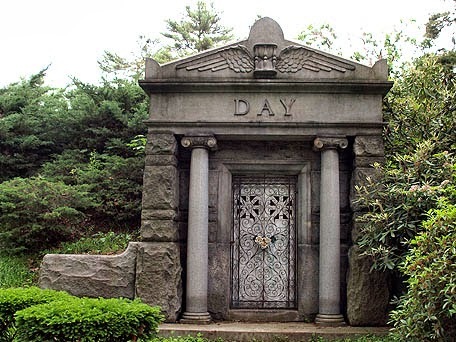 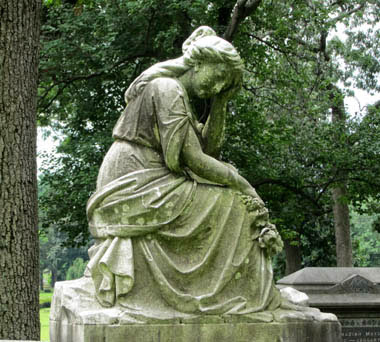 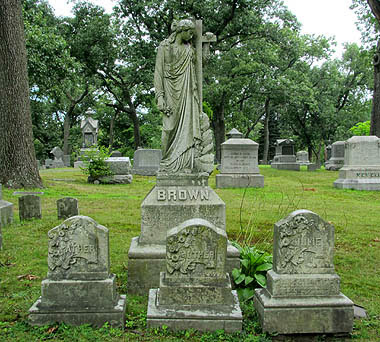 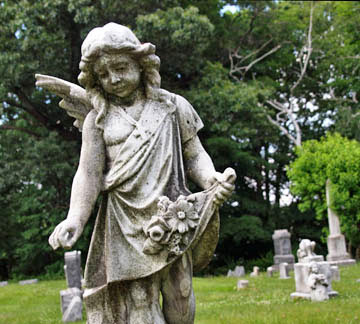 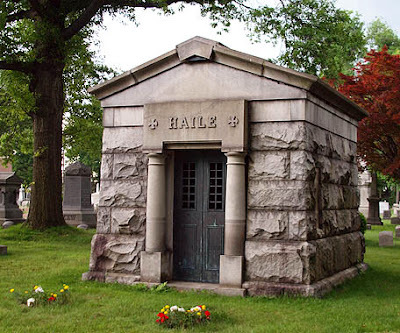 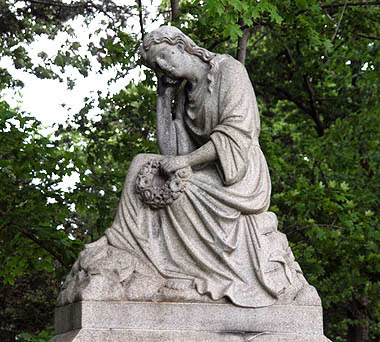 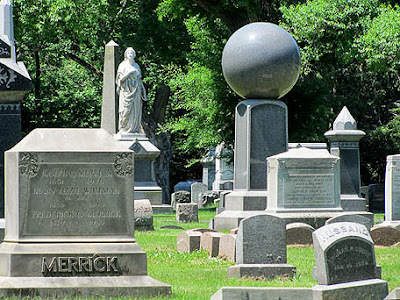 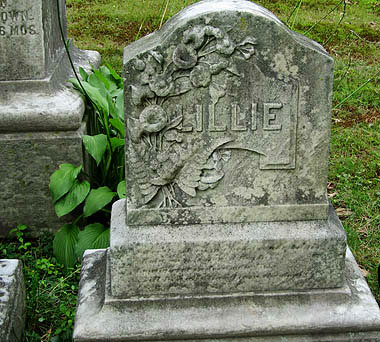 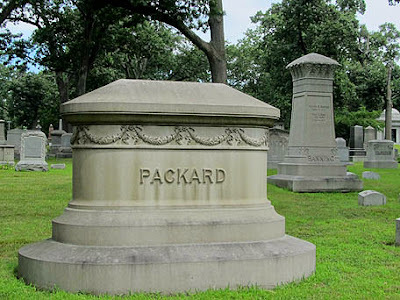 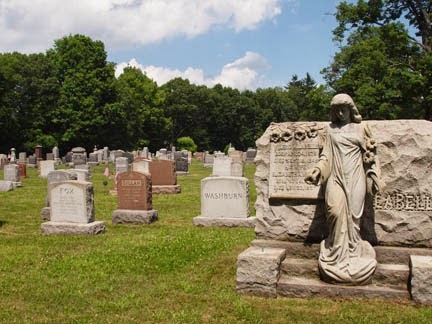 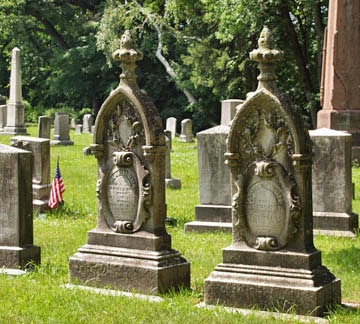 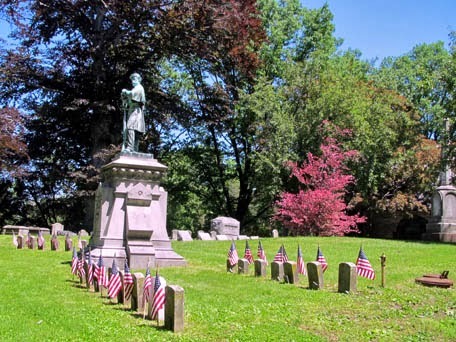 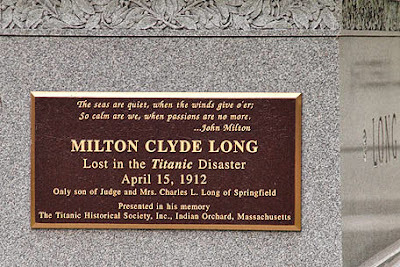 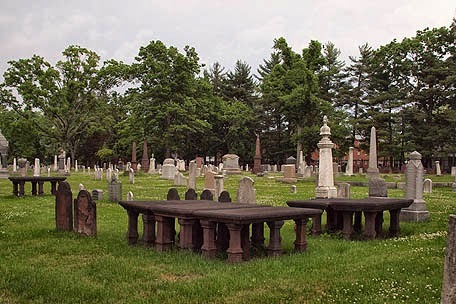 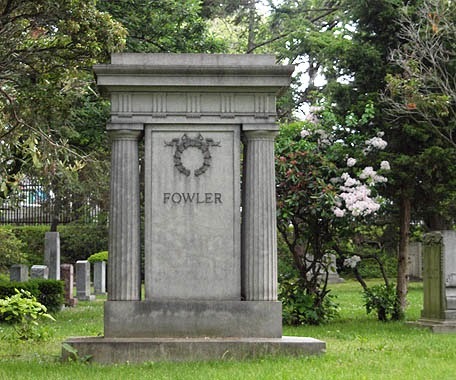 The Springfield Cemetery is also known as the Peabody cemetery, in honor of the first president of its association. 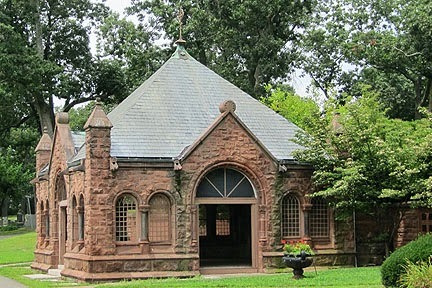 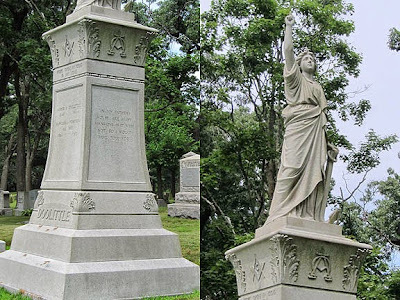 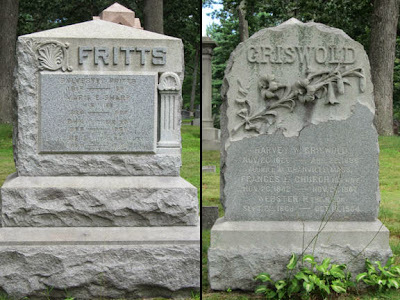 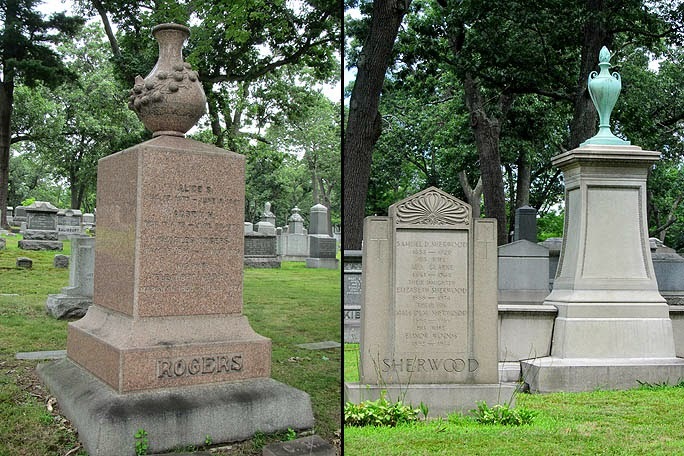 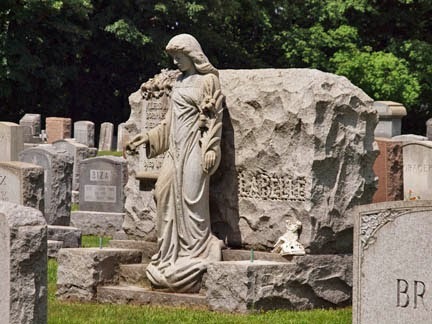 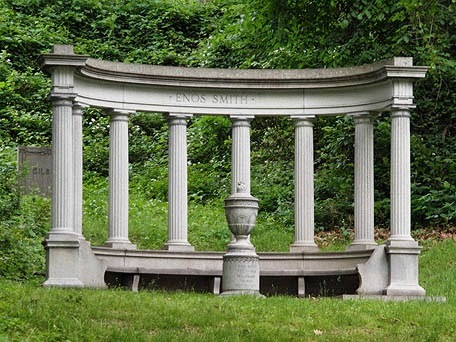 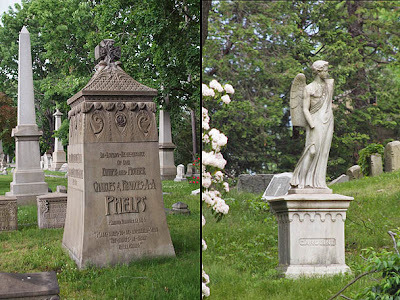 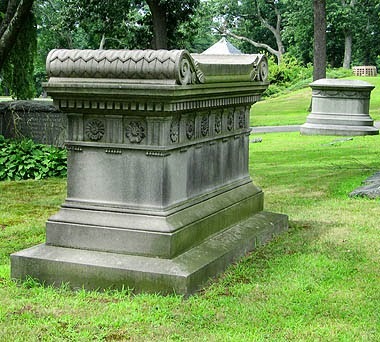 The Titus family monument is 6 feet high, two story house made of solid white marble with East Longmeadow brownstone steps. 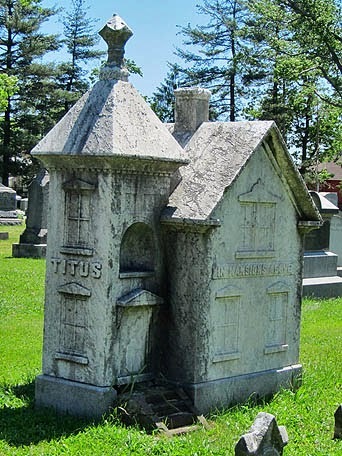 Andrew Titus (1823-1896) was a Victorian real estate man who out lived two of his three wives: Mary (1821-1889), Pamelia (1823-1891), Lousie (1834-1921). 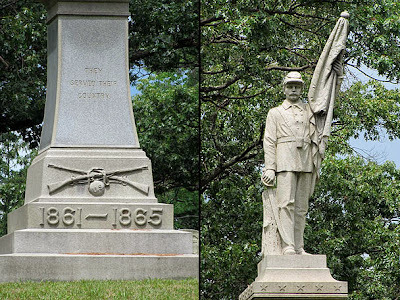 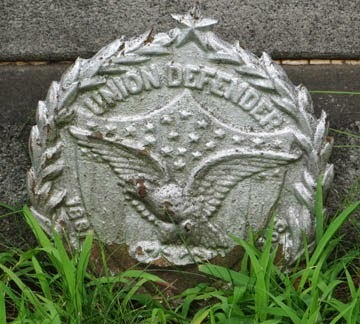 The Civil War monument, Soldier’s Rest, was dedicated in 1877. 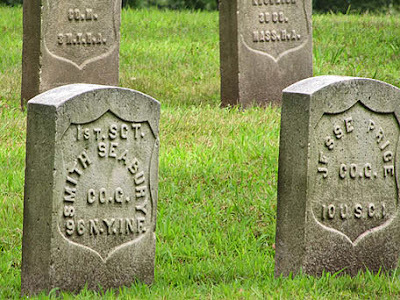 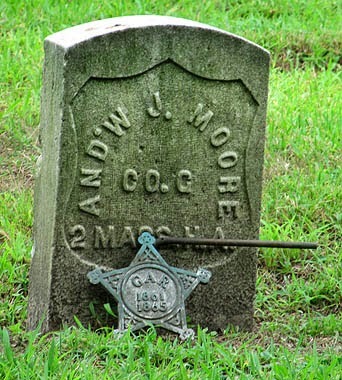 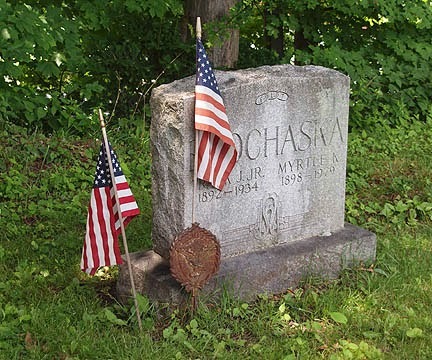 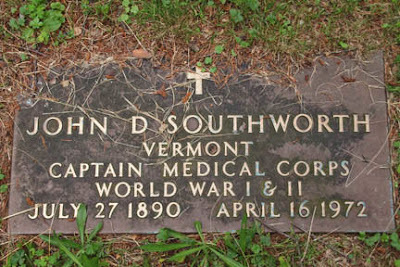 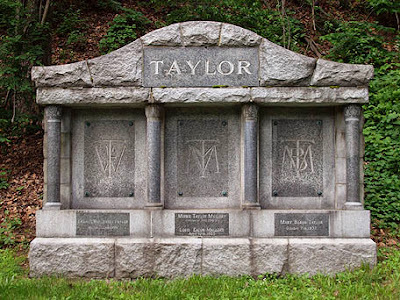 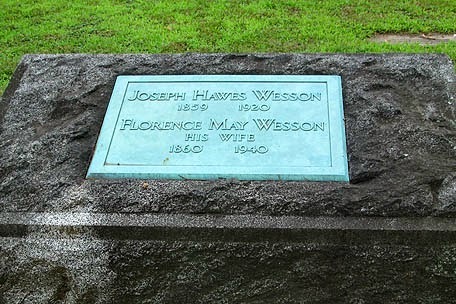 More than 200 Civil War soldiers are buried here, many of them died on their way home.